Handshake’s barcode scanning feature is a fast, convenient and precise way to add products to your cart while writing an order. Handshake supports barcoding scanning via the iPad's and iPhone's cameras, as well as popular barcode scanning hardware products like the Linea Pro and Infinea Tab housings and Socket Mobile series of barcode scanners. Need to do a quick price check? 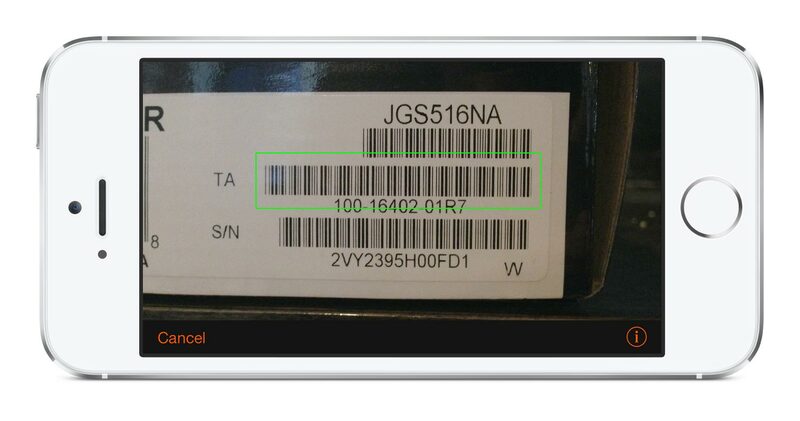 Use barcode scanning feature in the app to look up and show a full screen view of the product you're looking for. To set up use of the barcode scanning feature, simply upload the barcodes associated with your products on the Handshake website. You can do this manually or using our bulk-import feature . When writing an order in the field, simply scan the barcode of your products using a bluetooth scanner or your iPad's or iPhone's camera, and they’ll be instantly added to your cart. Some Handshake customers even hand over the scanner to their customers!